I love finding books in a series for Broxton (and Savannah) as I know that I love books by the same author, so I am sure they will too. 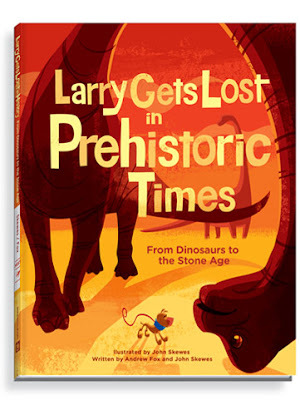 We were recently sent Larry Gets Lots in Prehistoric Times and I thought it was super cute. It is a great way to let the kids read and have fun, but also sneak in a fun bit of education as well! 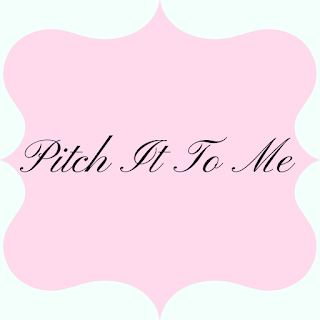 'FTC Compliant Review Policy: The product(s) featured in this review were provided free of cost to me by the manufacturer or representing PR agency for the sole purpose of product testing. Opinions expressed are my own and are not influenced by monetary compensation. Larry Gets Lost has several books. I hope we will add more to our collection down the road. It says that this book is for 3-6 year olds. Are you familiar with Larry? 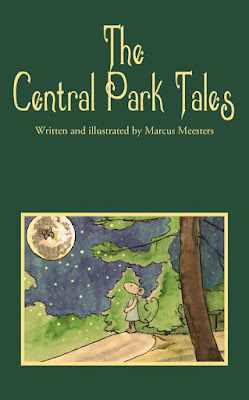 I know people like to give books for gifts, so here is one I thought I would share about Central Park. I know I loved visiting it when I was there, so I am sure kids would love to read about the adventures! Kidz Entertainment will be a great place for them to spend that Christmas money! Once the presents are all opened, that money they received will start burning a hole in their pocket. Want a cool website to send them to so that they can spend it? Look at Kidz Entertainment. They really do have "kidz entertainment" and I know kids will love it. 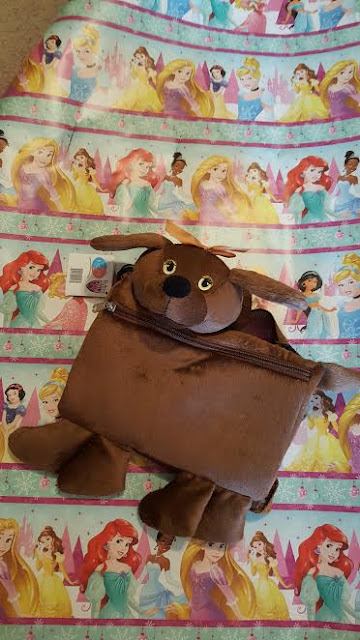 Savannah will be getting the 3 in 1 cuddly fun brown dog for Christmas this year. She loves stuffed animals right now, so I know she will like this. Not only is it a cute dog for her to play with, it is also a bag and a hand warmer! She will love it! I can't wait to see her face with it. She has decided she likes bags now and Marc even said she needed her a little girl purse. ha ha ha. Han's Old Fashioned Crumb Cake for the win! Now that things are pretty much set for the holidays, you need to make sure you have a gift covered for the host or hostess for your get togethers. I am not one to cook and bake things, but I try my best to make a good Christmas meal. As far as the dessert, I leave that up to buying something at the stores. I have tried, I really have... but it just isn't meant to be for me to be in charge of making something. If you are like me, the gifts are wrapped, the day is planned and then it hits you... What will everyone wear??? 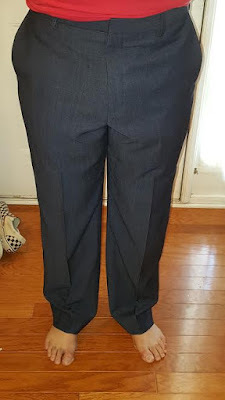 I was lucky enough to get a chance to review a couple pair of nice pants for Marc and Broxton, so they are finally covered. It hit me, I don't know when Marc got new dress pants, so I was so excited to see him wearing them. He said "They were heavy enough to keep me warm when it got windy, but they were breathable enough to not make me sweat in South Georgia." He also said he liked the fact that they were lightweight and seemed to be pretty roomy, great for the over 3 hour road trip home. As soon as I opened the box, I knew it was filled with amazing things.. and look, see the car printed on the box? Yeah, just like a kid with excitement!!! Broxton has claimed the box as his and that is fine with me. Savannah likes them too, for stacking, but since this was a car, he has enjoyed playing with it. You can't say that it doesn't look awesome. You know how you see something and you want it really, REALLY bad? You get it and you are so excited... then BOOM-- things happen? Yeah, that is totally what happened with me. I have been seeing people posting awesome pictures from their phone using Limelens smartphone lenses and I knew I just had to have it. I was so lucky to get to review one for you guys... Then, my phone lens cracked and I could not use my camera... so I had to postpone it. Finally got a new (refurbished) phone and was all excited, boom... it broke... got a new (refurbished) phone and again... BROKE. Can you tell I am not having much luck? Anyways, I wanted to tell you about Limelens, so I am sharing, but I don't have photos to show from my experience. Stay tuned... on instagram... I am NOT giving up! Do you have a little girl in your life that you know and love? Daughter, granddaughter, niece, family friend? I mean ANY little girl that is important to you?? If you do then you need to stop what you are doing and go to the store (after you read this!) to purchase the most amazing thing. A book, but not just any book! Isabella, Girl In Charge. I was totally not familiar with the Isabella line of books, but as soon as I read the first one, I was totally in love. The author, Jennifer Fosberry and the artist, Mike Litwin , know exactly what they are doing. It is amazing and I hope you fall in love as fast as I did. This seriously is a MUST HAVE. I know that we love Shutterfly for our Christmas Cards, but did you know that they are SO MUCH more than just stationery? Yes! 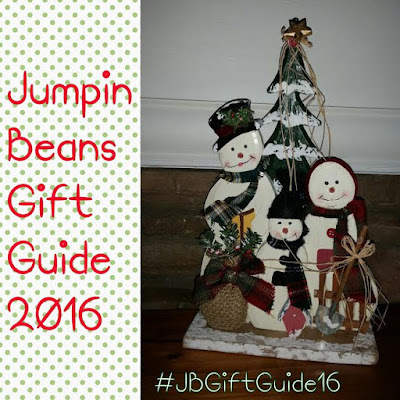 They have tons and tons of gifts and so many ways to make the gift extra special for that loved one! Did you know that Shutterfly has a wide selection of photo gifts for everyone on your list? I actually had my eye on a mug filled with chocolate to give to Broxton's teacher, but ran out of time trying to get pictures of all the students!!! The boys are here for the holidays. Savannah seems to be getting over being sick. Broxton is finally out of school. Know what that means?? Time for a MOVIE NIGHT!!!! Want to know how to score major mom points? Give out just the coolest sunglasses and you will be pretty awesome! Let me just tell you now, Broxton knows how to push my buttons and he can drive me bonkers on some days, but at the end of it all, he has a heart of gold and is a great kid. I love the pure enjoyment and excitement in his eyes and voice when he get a treat and that was my excitement when he was able to open up the new Sun-Staches we received for review. Heads up! @PercyVites now has #Shopkins!!!! 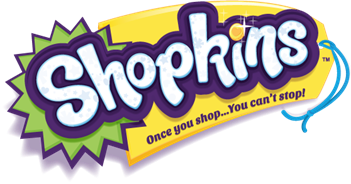 Are you familiar with Shopkins? I guess they are really popular these days, but they are totally new on my radar. Over Halloween, I saw kids getting all excited over these costumes, I had to look at the tags to see it was Shopkins related! Now, did you know that Shopkins is available on PercyVites? Tablets, Phones and more... Oh My!!! It seems like everything we do these days needs to be charged at some point or another. 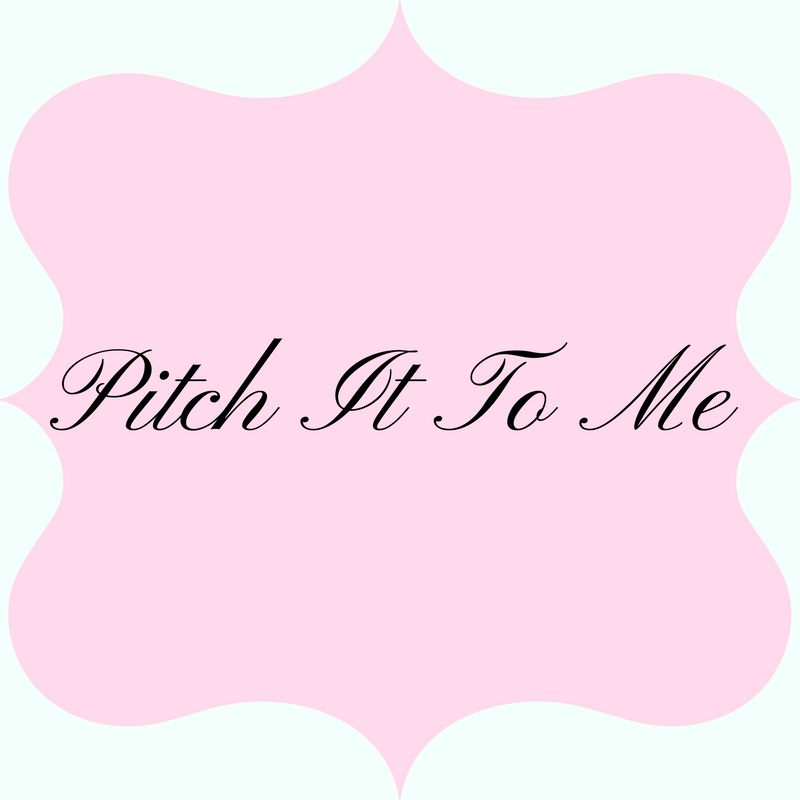 Know what you need to look into?? No? Well, let me tell you... Just head over to the myCharge site and take a look around. 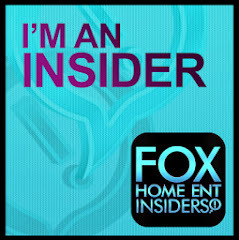 That is what you need to look into! They are "the ultimate in portable power solutions!" I know they will have something to finish off your list! Unlock the weird with Ripley's Believe it or not! Ripley's Believe It or Not Books are always so much fun for everyone. The things that make you cringe, the things that make you gasp... it is always an adventure to look in one of their books and they have done it again with their latest. I love that we flip through and check it out, but then we donate it to Broxton's school so they can all enjoy it as well! Have you heard of Simply Chickie? They are an organic baby clothing line that I wish I was familiar with when Savannah was younger. The clothes are cute and oh so soft. I made the mistake of letting Savannah see the shirt I got her, she carried it around kissing on it and once she finally put it down, I was able to get it put up for the holidays! Looking for a "cool" gift? Have you thought about the different products that Mission AthletesCare line has? From hats to towels, socks and more.. They really do have you covered. We were lucky enough to get several of their amazing products for review and Broxton and daddy had to get right to it. Broxton had been wanting to spend a day with daddy, so they headed out to hike and do other "outdoorsy" things. They packed their bag, got the supplies they needed and even got wristbands to make sure they were prepared! I took tons of photos of them getting ready... then my phone died and all photos were lost. Mom fail there, I know! Talk about being upset.. Yeah, I still am.